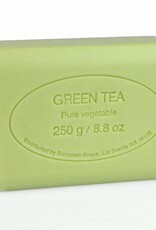 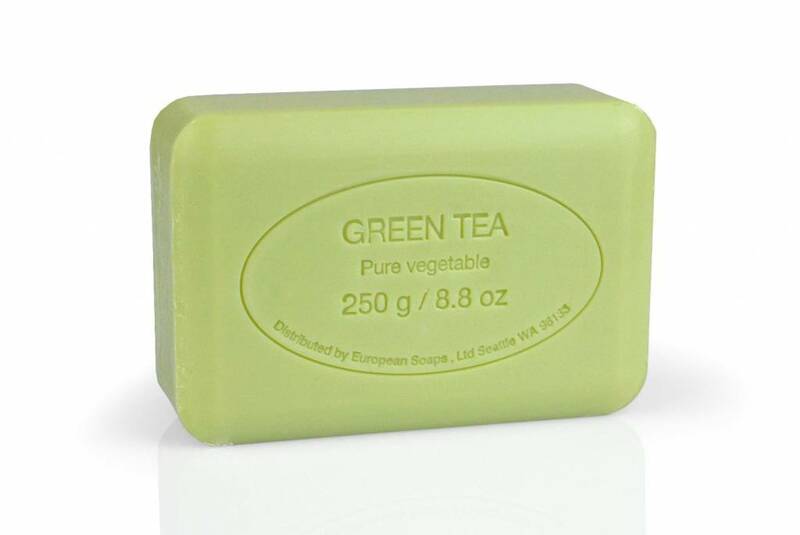 Slightly tangy with a hint of warm bamboo, green tea soap invites you into a subtle moment of zen. 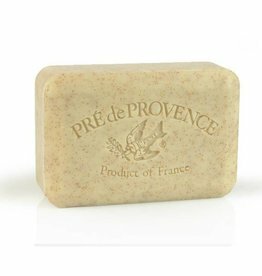 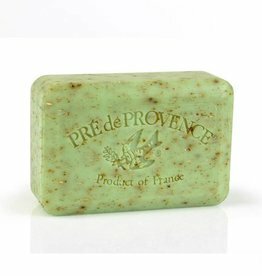 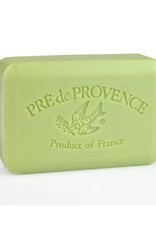 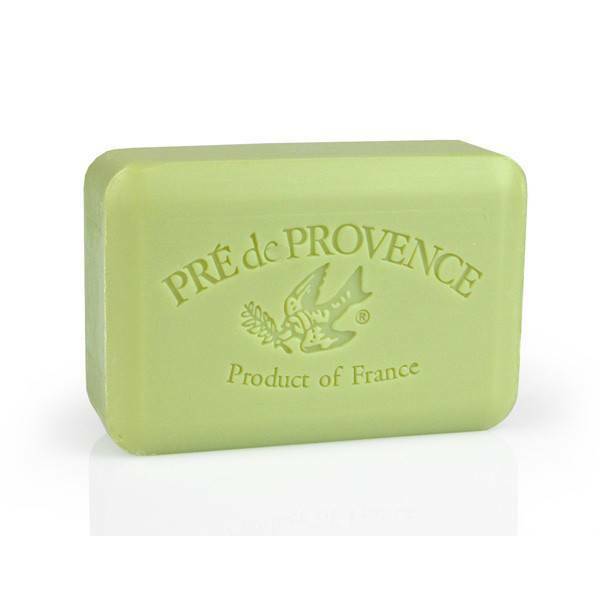 Every bar of Pre de Provence soap is not only carefully made by dedicated soap makers in Provence by following their proud traditions, but quad-milled to be smoother. 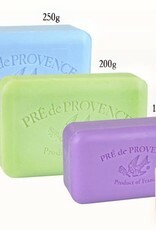 Shea butter enriches each bar for a luxurious lather. 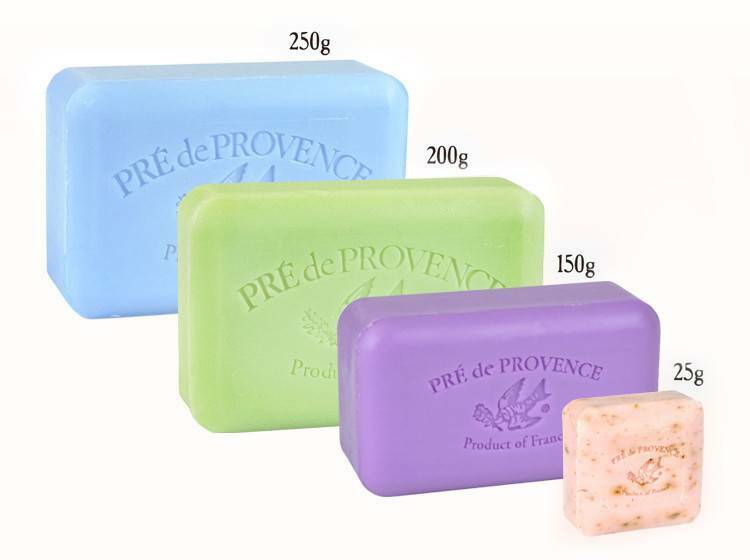 Available in 150g & 250g bars. 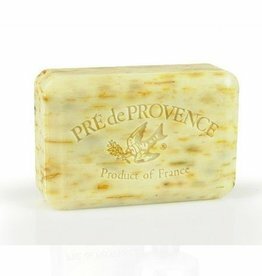 4.25" x 2.75" x 1.5"